Our story is not like any other online store, which started their launch and grew bigger and bigger, infact ours is a story from the first brick of trading, retail and then moved on to Online Sale introducing G3fashion.com the way you see it now. An offline market of retail experience in the Largest City of Textile in India, Surat-Gujarat with a massive existence of 28+ years now known as G3. 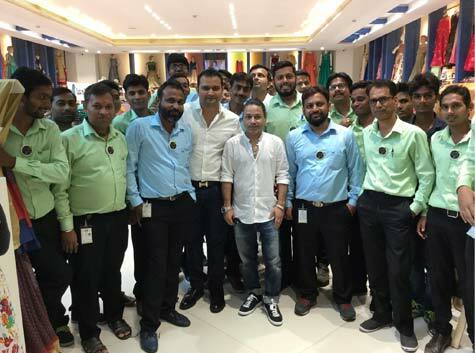 From the pioneer of retail sales of Indian ethnic wear in mens, women and kids wear fashion has just got its strength much larger with the recognition of all our stores which went on to establish step by step from one initial store of G3 Lalgate, Surat. We have come a long way with our business in Online Sales, launched in 2010, bringing a whole Family Store of 5 Stories at Ghoddod Road Sutaria Showroom and Linked our Website G3fashion.com with it. Read our timeline below, to review our whole story from the first step and store to this Magnificent online portal which now has over 10,000+ products not only in our expertised category of Indian ethnic wear but also top western brands of apparels known worldwide for all. We Reached a 1000+ Happy Customer Feedback on Trustpilot. Since January 2018 we provide G3+ Video Shopping service from 8am to 11pm IST time. 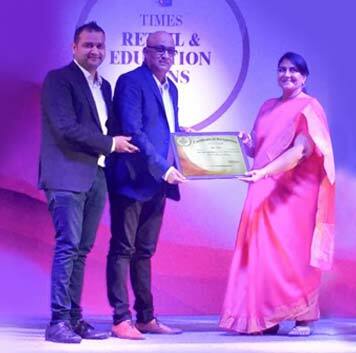 G3+ Ghoddod Rd Sutaria Store Won 3 Awards for the Best Retail Store in Surat by times of India in Women Clothing, Mens Clothing & Family Clothing Store. We are Very grateful to all customers for their continuous trust and support. Introduced G3+ Whatsapp Shopping and G3+ Video Shopping services to our Customers for building better customer relation services. G3 Now becomes 'G3+ Store', the New Name given to our G3 Ghoddod Rd Sutaria Town Store. Improved on the ambience and grew the store Taller by adding special 2 new floors and different sections. Updated and launched the new website 'G3fashion.com' with sale to 84+ countries. Introduced the Western Apparel Brands on our Website & Became the First Omni Channel Store in Surat. Launched our Online Store 'G3fashions.in', founded by Mr. Jigar Patel. Launched the First Largest Family Store in Gujarat of 30000 Sq.ft at Ghoddod Rd, Sutaria Township, Surat. Renovated the Old G3 Family Store for Exclusive Women's Wear. We started a New Store for Men & Kids Wear at Lalgate. Introduced an Exclusive Store for Women's Wear named ' LG Boutique' at Lalgate. Established our First G3 Family Store of 3000 Sq.ft at Lalgate Chautapul Surat. Founder & Owner Mr. Shankarlal Patel established the First Store "Aakar" at Lalgate Chautapul, Surat.